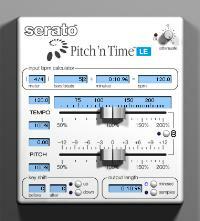 Correction: A previous story misprinted the price for Pitch ‘n Time for Logic users as US$99. The correct price is US$399. -Ed. Digital pitch and time stretching has a dark secret: much of the time, it doesn’t really work. Make anything larger than a minor adjustment to the pitch and tempo of digital audio, as you’ve probably already discovered, and you’ll degrade the quality of the sound. Audio gets garbled. Stereo files phase. Surround-encoded tracks lose their surround information. Built-in facilities in programs like Ableton Live and Apple GarageBand have improved, but for serious studio work, it helps to have a more powerful tool. Serato’s Pitch ‘n Time has long been a preferred method for audio pros, but it’s only been available to Pro Tools users, and only at US$800. Now, we finally get a break, thanks to Pitch ‘n Time LE, which halves the price and adds support for Apple’s Logic Pro (pictured). In Logic’s ongoing efforts to woo Pro Tools users, the Logic version includes some great features the Pro Tools version lacks. It has a larger range of possible tempo and pitch changes. It has more options for adjusting tempo (tempo change, length change, target length, target BPM, target time code and bars and beats). And it integrates into Logic’s Time and Pitch Machine, shown above. Pro Tools loyalists aren’t left out, though; for half the price of the full Pitch ‘n Time, you get most of the key features and real-time preview. It’s important to note that no matter how good the digital algorithm is, you’re still limited by available data. In other words, Pitch ‘n Time can’t work every miracle you might throw at it. But try out the demo, and you’ll be very impressed. I still love the sound of digitally-crunched audio now and then, but it’s nice to have a choice! Moog Watch: New Software Editor for Voyager, Now with Genetics!